Some details of the model's history: it is a 42 by 38 foot wooden replica of the city of San Francisco as it was in 1940 in 158 pieces at a scale of 1 inch to 100 feet. The pieces contain about 6,000 removable city blocks. The model was built by The Works Progress Administration in the late 1930's, under the New Deal. It was first displayed in sections in the Golden Gate International Exposition on Treasure Island in San Francisco Bay in 1939. In 1940-1942 it was displayed in San Francisco City Hall. The model was used as an urban planning tool by San Francisco city agencies and departments through the 1960's. 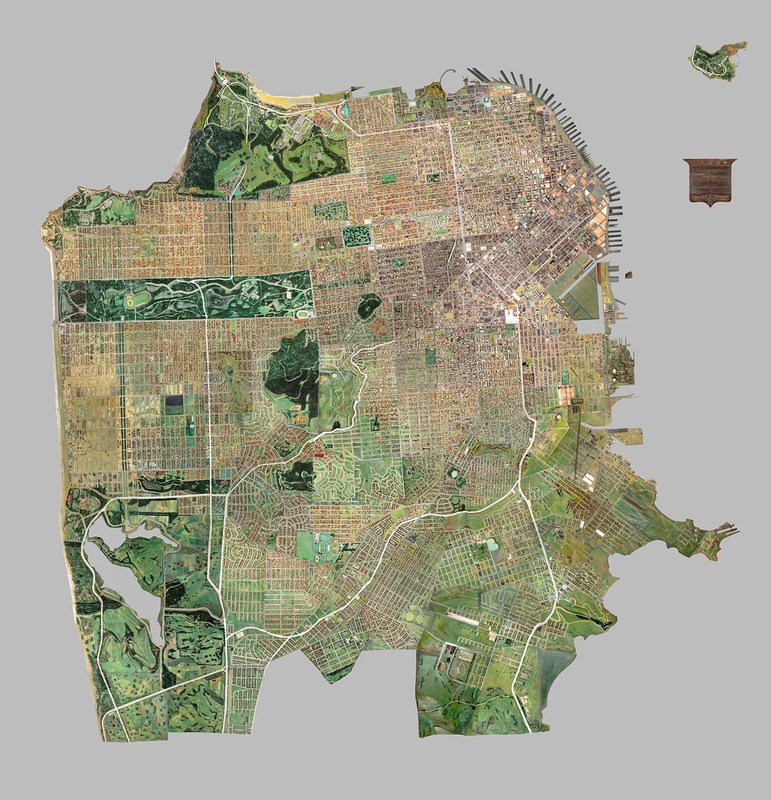 In 1968, the downtown portion of the model became a research and planning tool in the Environmental Simulation Laboratory in the College of Environmental Design at UC Berkeley. The model has not been on public view, in its entirety, since 1942. UC Berkeley is the current owner of the model. The intent of the makers of the model was to have it updated as the city changed over time and they conceived of it as a tool to help understand and plan for changes in the city's built environment. Read a San Francisco Planning Department document from 1940 describing the building and purposes of the model.